Grey Alien Games » Blog Archive » Grey Alien Games is 5 years old! 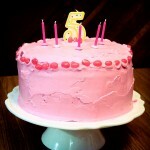 Grey Alien Games is 5 years old! It’s been just over 5 years since this site went live and so I thought I’d have a little 6-year retrospective as to how it came about. (Note that I actually went part-time Indie about 12 months before this site was created and full-time in the summer of 2005). I’ve been programming games since I got a computer for my 8th birthday, which was 27 years ago. However, I didn’t start programming games full-time until I was 30 because I was making business software for most of my 20s. However, one night in November 2004 I was browsing the Internet and I discovered http://www.blitzbasic.com. Back in my Amiga days I loved using Blitz Basic 2 because it was so easy to make a game happen compared to using assembly language, also Blitz was super fast. So when I found out that there was a PC version called BlitzPlus I downloaded it and tried it out. It was awesome and there was a really great community on the Blitz site that helped me to get to grips with it. Incidentally, the user name I signed up to the Blitz forums with was Grey Alien (I used to be an X-files fan back in day). I went through a period of inner turmoil knowing that my true calling was making games, but that I needed the money from the business software to support my family, mortgage, car, bills etc. Eventually I made the decision to go full time Indie (even though I had no runway) and suddenly I felt way better, like a weight had been lifted from me. I also decided that there was no market for Iron Fist at the time (no XBLA/XBLIG/PSN/Wiiware, no Steam, no iPhone/iPad etc) and that it was going to take ages to finish on my own. Also I’d recently played Bejeweled and discovered other Casual Games. So I made the decision to stop work on Iron Fist and make Casual Games instead, and thus, unbeknownst to me, my course for the next 5 years was set! I spent the summer of 2005 making a few mini-games so that I could practice making a complete game (before that I’d never really finished anything properly) and I ended up with a basic framework that was suitable for commercial games. Then I started work on a match-3 game which I titled Fruitola because you swapped fruits around. However, a Blitz forum member called Tim Fisher (Indiepath,) who had already published a couple of games, suggested that I make a Christmas-themed match-3 instead. So I changed all the graphics and called it Baubled, although that incarnation didn’t last long and eventually it became Xmas Bonus. Tim published the game on a number of portals for me and that’s also when I made the first version of this site – it was pretty crappy looking and got redesigned a year later by a helpful teenager from Texas! That’s also when I got my Grey Alien Games logo made. Xmas Bonus wasn’t a massive hit, but it did sell and so I felt encouraged enough to keep learning and carry on. Tim also published Easter Bonus in the Spring of 2006 and that’s when I was contacted by Injoy Games who wanted me to make a Wizard of Oz match-3. I wanted to use more fancy effects for the Oz game and so I switched over to BlitzMax which was a superior cross-platform language with 3D card support. That’s when I made my first incarnation of the Grey Alien BlitzMax Game Framework of which I ended up selling over 200 copies before I sold the IP to Big Fish Games in December 2008. The Wonderful Wizard of Oz had great looking art that appealed to the casual audience, professional music, and the special effects turned out well too. Then I reused the engine to make Holiday Bonus in a super intensive 6 week burst to get it launched before Christmas 2006. That game turned out to be my most profitable game in terms of hours worked, it still makes money every Christmas. Someone at Big Fish Games spotted the Oz game and asked if I’d be interested in making a game for them. I agreed and they contracted me to make Fairway Solitaire in 2007 with their epic designer John Cutter. That game turned out to be a big hit (in terms of solitaire games), and so they contracted me to make more games. I was mid-way through Unwell Mel when Big Fish Games asked me if I wanted to move to Vancouver and make games in a new studio they were opening. Because I’d already discussed the idea of living part of the year abroad with my wife, we were open to the idea, and so we said yes. We moved to Vancouver (my wife and I, my two boys, and our cat) in November 2008 and I finished off Unwell Mel, which launched in the Spring of 2009. Then I began work on another Casual Game which got cancelled, not because it was bad I hasten to add, but so that I could help out with a Facebook game project called My Tribe. I had to learn ActionScript 3 to help with the game, and that’s been fun. I also had to learn all about metrics and instrumenting a game, and that’s been very educational. I’ve worked with some very clever and knowledgeable people at Big Fish Games and I’ve learned a lot of new ways of thinking. Whilst living in Vancouver I’ve taken advantage of the rich community of game developers here. In the summer of 2010 I started up the Vancouver Indie Game Developers Meetup group with Alex Vostrov, and have met tons of awesome people through it. There’s certainly a lot going on in Vancouver. Currently I’m still working on My Tribe at Big Fish Games. But there’s one constant in the Universe – Change. This entry was posted on Sunday, December 5th, 2010 at 9:48 pm and is filed under Grey Alien Games. You can follow any responses to this entry through the RSS 2.0 feed. Both comments and pings are currently closed. Congrats! Can’t believe it’s already been over 2 years since you moved to Canada. Time sure does fly by fast. Are you still using BlitzMax for projects or is it all web based now? Maybe for prototyping? Thanks! Yep over 2 years here! I was using BMax for my 7th casual game (the one that was cancelled), but yeah now I’m use AS3 only. I still use BMax at home for a few minigames. BFG is still supporting My Tribe? Its DAU (35k) is less than 1/4 of its highest count (190k), which doesn’t sound like a winner in terms of investment. Why not pull the plug? Unless BFG has money to throw into these projects. You make a salient point Alan, but obviously I can’t discuss it as an employee. Suffice to say, there are plans. Congratulations on Grey Alien Games turning five! This is a great accomplishment since as we all know, longevity is rare in the games industry. My indie game company will turn ONE this January (while my freelancing client contract dev biz is *significantly* older). It might take a couple more years until I can quit doing client work completely and go full-time indie but watching the success of my peers really encourages me to stick with it. Keep up the fantastic work and here’s wishing you another five years and beyond! Thanks Mr Funky pants dude. Congrats on almost reaching 1! Be sure to celebrate. I also started my own contracting company several years before doing games, and I gradually faded that out until I told all my clients “sorry I’m too busy making games”, was a great feeling, you’ll love it.